Fort McMurray. A city once synonymous with oil is now known for the worst forest fire in Alberta’s history. The massive blaze exploded thanks to hot, dry weather. It has scorched over 200,000 hectares of ground and counting. It will take months before the flames are finally extinguished, and many more before lives can be rebuilt. Natural threats, like the forest fire in Fort McMurray, are reminders of the challenges that every industry faces and subsequently must address: preparing for severe events that can happen, often with little or no warning. The nuclear industry is not without its own risks from Mother Nature. In March 2011 one of the most powerful earthquakes on the planet opened up the sea floor and unleashed a wall of water on the Japanese coast. 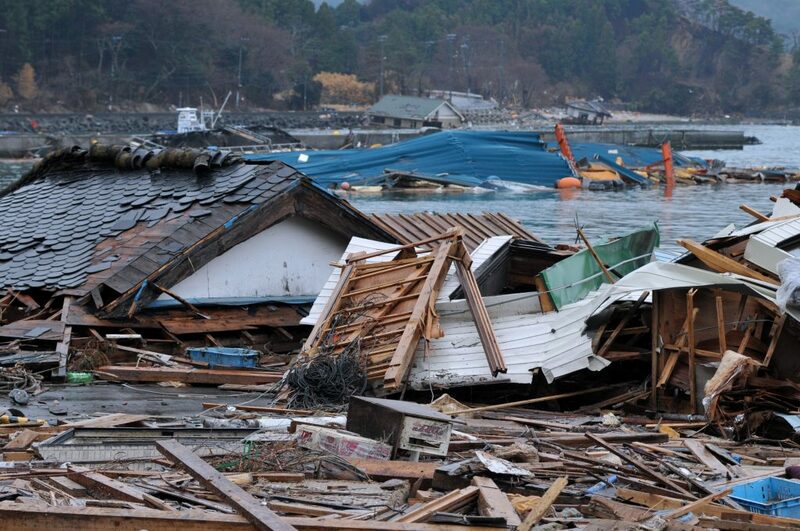 The Fukushima Daiichi nuclear power plant was hit by an earthquake and a tsunami that were both much larger than its builders had contemplated. The resulting accident led to a world-wide scrutiny of power reactors for their ability to resist extreme natural events. The nuclear industry has since instituted what we call “beyond design” safety measures to prepare for events beyond the range used as a basis in the original design process. Being prepared for severe weather events requires an enormous undertaking by industry. Different industries are accountable to different regulatory bodies, organizations that operate at an arm’s length from government and aim to ensure that best practices are followed. Nuclear reactors at Canadian sites, and the facilities around them, have numerous, layered design features and operating procedures that rendered very, very low risk the possibility of an accident because of extreme weather – such as winter ice storms or high winds. These features and procedures have worked well for the more than fifty years that the industry has generated electricity for Canadians. In all this time, we have not had a radiation release that harmed people or the environment. For example, Cameco Corporation’s emergency response program at its uranium processing facility in Port Hope, Ontario is comprehensive and includes approximately 60 highly trained employees, most of whom have specialized training in industrial firefighting and hazardous materials. As has been seen in Alberta, a coordinated response to a natural disaster is important. Cameco covers the cost of hazardous material training for all members of the Port Hope fire and emergency services department, which would support the efforts of Cameco’s emergency response team in the event of a natural disaster. Post Fukushima, reactor operator Bruce Power, which boasts a team of 400 highly trained emergency personnel, worked with other industry experts to develop state of the art fire trucks which included doubling the water capability, night-scan lights and LED technology. In addition to the new fire trucks, the company also purchased portable back-up generators and invested in specific post-Fukushima training. Throughout the nuclear industry and supply chain, organizations realize the importance of investing to prepare for the unexpected. That is the best and prudent way to minimizing the impacts that severe weather can have on people, the environment and industry. You may have heard media reports about concerns regarding fish contaminated by the Fukushima Daiichi nuclear power plant meltdown migrating to the North American west coast. The truth is, scientists in British Columbia have found no noticeable radiation in fish on Canada’s west coast as a result of Fukushima and the Canadian Food Inspection Agency has found no cause for concern but continues to monitor the situation. “The radiation levels we can attribute to Fukushima are essentially not visible,” Simon Fraser University nuclear scientist Kris Starosta recently told Global News. Even North American studies that have found some contamination related to Fukushima has found those levels to be negligible. A study this year by Oregon State University made a comparison that put some perspective on the fish fear factor. The researchers found that while Albacore tuna caught off the coast of Oregon had elevated levels of radiation as a result of Fukushima, the increase was so minute that you would have to 700,000 pounds of the fish with the highest radiation levels just to get the same dosage as you would going about your day-to-day life over a year. “A year of eating albacore with these cesium traces is about the same dose of radiation as you get from spending 23 seconds in a stuffy basement from radon gas, or sleeping next to your spouse for 40 nights from the natural potassium-40 in their body,” Delvan Neville, a graduate research assistant in the Department of Nuclear Engineering and Radiation Health Physics at Oregon State University and lead author on the study, said in a press release. Here’s another great post from our friends at AREVA Canada. Executive VP Jean-François Béland shares his thoughts on the past year since the earthquake and tsunami in Japan and why now is the time for investing in nuclear. During the year that has passed since the earthquake and tsunami struck the Fukushima-Daiichi nuclear plant in Japan, many have questioned the future of nuclear energy in nations around the world. While a few nations have decided in the wake of Fukushima to move abruptly away from nuclear energy, many others have taken this opportunity to take a long hard look at this technology and have moved forcefully ahead. Driven largely by internal political concerns, Germany declared it will gradually shutter its nuclear plants, opting instead to depend more on fossil fuels (domestic brown coal and imported Russian gas) and more renewables. But for the near term, Germans can expect higher electricity prices, more carbon emissions and Imports of nuclear produced electricity from France. Others, such as China, India and the United Kingdom, are moving forward aggressively with plans for new nuclear power plants. China alone has 26 new reactors under construction, including two by AREVA. The U.S. government recently approved the construction for the first new reactor in 30 years, an event that will lead to other projects. Here in Canada, we stand at a crossroads. While some politicians have expressed their support for nuclear energy, this has not translated into the concrete actions necessary to spur significant new investments. Canada’s nuclear power plants generate 15% of our electricity safely, reliably and without producing greenhouse gases. But nearly 20 years have passed since a new plant has come online. In Ontario more than 50% of the electricity comes from nuclear energy, making this technology critical for the economy. Nuclear energy’s low cost and reliability enables our industrial base in Ontario to remain competitive. Let’s face it, nuclear power generation helps maintain industrial and manufacturing jobs in Ontario better than any other fiscal incentive to date. The refurbishment project at Darlington Nuclear Generating Station in Ontario has just taken another step forward. This is indeed a positive development. But we must move forward now with the development of new plants to ensure we have reliable power for the future. In addition, each new nuclear plant project would create thousands more jobs and spur billions of dollars in regional investment. We continue to work with NB Power and other partners on the possibility of developing at the Point Lepreau site in New Brunswick a Clean Energy Park, using a combination of AREVA nuclear energy and renewable technology. We are delighted to see strong support in Saskatchewan for further development of nuclear technology in the province. Saskatchewan has the world’s best uranium deposits. And for decades, AREVA has been a leading uranium producer in northern Saskatchewan. Over the past year, the Canadian nuclear industry has thoroughly assessed its systems and operations to ensure its safety. In October, the Canadian Nuclear Safety Commission concluded that all Canadian nuclear plants could withstand conditions similar to those at Fukushima. But, as an industry, we are still working every day to improve – our operations, our efficiency and our safety. AREVA is likewise constantly striving to help our customers produce cleaner, safer and more reliable electricity. Canada has an opportunity to regain a leadership position in the one of the world’s pre-eminent clean energy technologies. But to do this, our leaders must take courageous, long-term decisions to invest in new nuclear energy projects today. As a proud Canadian and nuclear industry employee, I look forward to seeing the next new nuclear plant under construction in Ontario. While this may not be the easiest course of action, our leaders will find that new investment in nuclear energy is good for Canadians’ electricity rates, Canada’s industrial base, and Canada’s clean energy future. Jean-François Béland is Executive Vice President of AREVA Canada. This post originally appeared on the AREVA North America: Next Energy Blog.